I write regular Strategic Snippets because I care about the success of your business. If you care about the success of someone else's business click "Send this page to a friend". Ask them to let me know that you were involved. 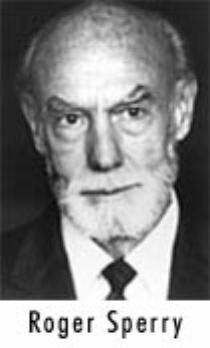 In 1981 Roger Sperry received the Nobel Prize in Physiology "for his discoveries concerning the functional specialisation of the cerebral hemispheres". 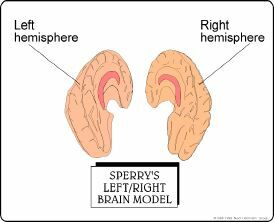 Sperry, his student Michael Gazzinga and the neurosurgeon Joseph Bogden, performed the first 'split brain operation', and can be credited with some of the most important insights we have of the physiology of the brain today. They found that the left side of the brain is concerned with language, words, analysis, and figures. The right side is concerned with patterns, relationships, art, and music. The left brain is the clever part. The left brain is so clever it's taken us to the moon and developed our wonderful technologies. The trouble is it's so clever that if we're not careful it will kill us off. It's the part that has developed the nuclear bomb and is in the process of polluting the world. It's the piece of the brain that's always scheming, it never stops. Its the bit that wakes you up in the middle of the night with this wonderful idea that in the morning never looks quite so good. This part of our brain is like a bossy manager who needs to be in control, demands to be heard and thinks he is the only one with any ideas. Indeed it so bossy that sometimes when it is scheming, worrying or thinking in the middle of the night, even the best strategies are insufficient to keep it under control and quiet. For example, sometimes I try to get back to sleep by counting down slowly from 20 to 0, relaxing more after each number, but unless I'm totally disciplined, in between the numbers my left brain will race off on to some new subject. The left brain is a straight line calculator that deals in words and numbers, likes things in sequence and has a need to explain things rationally and a need to always be in control. It likes logic and things that are 100% correct. It has trouble dealing with ambiguity, partial truth and uncertainty. It needs to be right and it needs to be 100 percent right. If something is only partly right, even if it is only slightly wrong, the left brain is inclined to reject the whole notion rather than play with the idea and work with it to see what can be extracted from the good parts. This is why it's so important to set up conditions and expectations in creativity sessions, so that things can be wrong or at least partly wrong, we need to change the inclination to reject the whole notion, by playing with ideas and using words like: "that's interesting". Most religions are least partly based on trying to slow down and control the left brain. In essence this is the purpose of prayer and meditation. The act of creativity is largely based on practices which are designed to fool the left brain into slowing down or turning off. These include such things as non- dominant handwriting, analogue drawings, brain gym, telling stories, colour and drawing techniques, meditation, lateral thinking techniques, random word association and starting at the end and working back towards the start. The right brain, on the other hand, has no need to be in control. It is an image processor, it deals with pictures and emotions, feelings and relationships. It is creative, intuitive, trusting. It is far better connected to the enormous power of the subconscious than the left brain. Compared with the subconscious, the conscious mind is very limited and yet this is where most of us try to solve their problems. Herrmann's Brain Dominance Index (HBDI) is the most powerful tool that I have found in over 20 years of searching to help people understand their own thinking preferences and the thinking preferences of others. Both are essential for personal and business success. Self-knowledge is the starting point because it leads to increased self-esteem and self-improvement. Knowledge of others is important because it is the key to better communication, trust, working relationships and influencing. Bruce helps large organisations be focussed, fast and flexible. Places where people have more meaning, depth and connection. 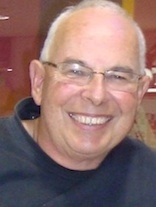 Expert in Strategy, Structure, Culture and Leadership Development. One of NZ's most experienced change agents.